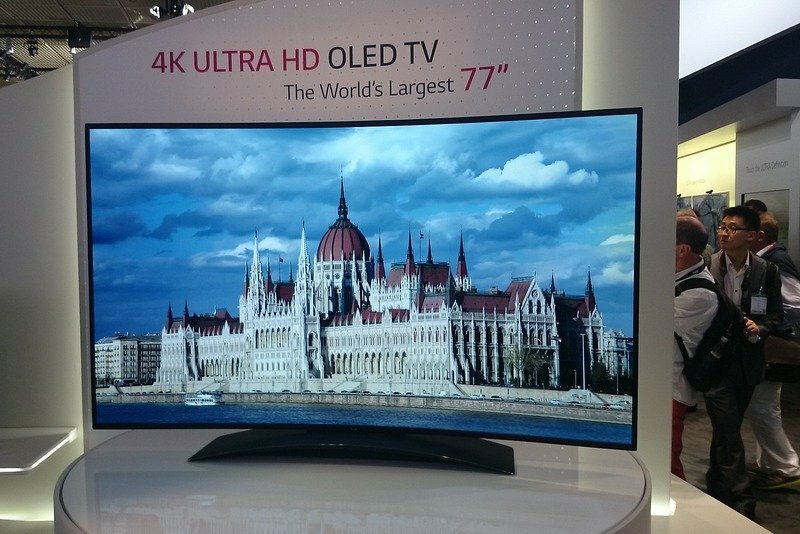 LG has announced it's set to start selling its first 4K OLED TV, which will be available in 77- and 65-inch screen sizes -- models 77EG9700 and 65EC9700, respectively. Pre-orders for both models begin in Korea this week, with availability in key markets in North America and Europe to follow soon after. "LG 4K OLED TV is the pinnacle of technological achievement and a new paradigm that will change the dynamics of the next generation TV market," said Ha Hyun-hwoi, LG's home entertainment division head. Besides having a curved screen (which can also be mounted on a wall) and 4K resolution (3840x2160), the TV also features a multi-channel surround sound system that the company designed in cooperation with renowned audio expert Harman Kardon. LG claims that the new sound system creates a rich, detailed environment that heightens the viewer’s sense of immersion. The TV also employs an advanced panel developed by LG Display, featuring LG’s proprietary Four-Color Pixel WRGB technology, which includes a white sub-pixel that works in conjunction with conventional red, green and blue pixels, allowing users to enjoy more realistic resolutions. In terms of software, both the TVs run WebOS, the operating system developed by Palm which LG acquired from HP in February last year. As far as pricing is concerned, the 65-inch model will be available for 12 million won (about $11,700), while there is no word yet on the pricing of the 77-inch unit. Expect both models to be on display at IFA this year.